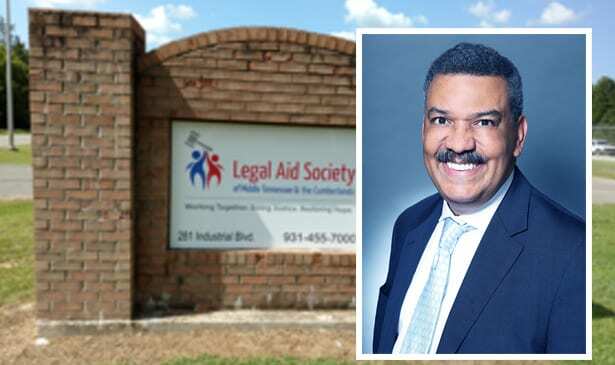 NASHVILLE, TN — Legal Aid Society of Middle Tennessee and the Cumberlands, the state’s largest nonprofit law firm, has appointed Charles K. Grant as its new board president. Grant succeeds Robert “Bob” Martineau Jr., who served as president since 2016. Martineau is commissioner of the Tennessee Department of Environment and Conservation. Grant, a veteran Nashville litigator, was first vice president of the Legal Aid board. His term as president lasts through 2020. A graduate of The Citadel and Washington & Lee School of Law, Grant is a shareholder at Baker, Donelson, and a member of its board of directors. His practice focuses on complex employment litigation, including FLSA collective actions, general business litigation and representation of licensed professionals before licensing boards. Grant has taken more than 50 jury trials to verdict in federal and state courts and represented clients in mediation and arbitration proceedings. Grant is a past president of the Nashville Bar Association and has been the recipient of several prestigious awards, including the Napier-Looby Bar Foundation’s Trailblazer and A.A. Birch Outstanding Public Service awards, the Nashville Bar Association’s Pro Bono Lawyer of the Year Award, the Tennessee Bar Association’s Harris Gilbert Pro Bono Award and the ACLU of Tennessee’s Bruce Kramer Cooperating Attorney Award. Grant’s been listed in Mid-South Super Lawyers every year since 2006 in the area of Employment Litigation Defense, in The Best Lawyers In America in the areas of Employment Law – Litigation and Employment Law – Management every year since 2014, and in the Nashville Business Journal’s “Best of the Bar” six times, most recently in 2018. Legal Aid Society of Middle Tennessee and the Cumberlands advocates fairness and justice under the law. The firm offers free civil legal representation and educational programs to help people in its region receive justice, protect their well-being and support opportunities to overcome poverty. 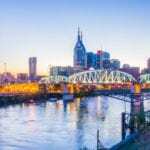 It serves 48 counties from offices in Clarksville, Columbia, Cookeville, Gallatin, Murfreesboro, Nashville, Oak Ridge and Tullahoma. Legal Aid Society is funded in part by United Way. For more see www.las.org, or its Facebook page.